ASI Waste is committed to safety, compliance, and environmentally responsible management of all the highly regulated waste streams we collect and oversee. It is important to have a company that keeps up with the regulations and training to ensure you’re always compliant! We make it easy to stay compliant, providing not only the waste tracking and manifesting, but also the training required to comply with the US DOT requirements and other various agencies. We provide clear tracking of the waste and detailed manifesting that shows how the waste is handled, from cradle-to-grave for our customers for the various waste streams we collect and process. ASI Waste focuses on partnerships with our clients. We evaluate all options and ensure that we are handling waste for our clients in the most efficient manner feasible, while focusing on compliance. We make certain that our customers are compliant with the local, state and federal regulations for the wastes that we are managing. We also ensure that our customers know how to track their waste properly along with their training so they are always current with their records and documentation. 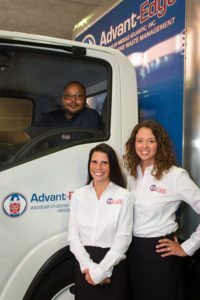 We review equipment, transportation, treatment technologies and packaging so that we can come up with the best solutions based on your facilities unique needs. We have a proven track record of providing expertise in not only cost savings, but more importantly, efficiencies. We focus on having the right employees on each job to ensure we exceed our customer’s expectations. Call ASI Waste today regarding your regulated waste streams so that we can assist you in analyzing your services for efficiency, cost, and compliance! ASI Waste is committed to safety, compliance, and environmentally responsible management of regulated medical waste. ASI Waste is committed to safety, compliance, and environmentally responsible management of regulated medical waste. It is a highly regulated waste stream, and it is important to have a company that keeps up with the regulations and training to ensure you’re always complaint. ASI Waste is committed to helping your facility implement regulatory compliant solutions for your Rx Waste disposal needs. Hospitals and clinics generate a substantial amount of pharmaceutical waste that requires proper disposal. Typically, this waste is comprised of drugs that have been partially dispensed, but not completely used. The disposal of hazardous wastes can be a complex task due to the many regulations that govern the transportation and appropriate disposal method of these special wastes. ASI Waste assists in the process of locating a suitable disposal facility, scheduling transportation, profiling samples, and preparing hazardous waste manifests. We are able to provide the training required for shipping waste potentially contaminated with the Ebola Virus disease. There is training required for the shipping of Ebola contaminate waste. This training is similar to the training for regulated medical waste.